Terra Nova Books, 9781938288814, 116pp. Mogi Franklin is a typical eighth-grader except for the mysterious things that keep happening in his life. And the adventures they lead to as he and his sister follow Mogi's unique problem-solving skills along with dangerous clues from history and the land around them to unearth a treasure of unexpected secrets. In Ghosts of the San Juan, the mysterious disappearance of four men in 1934 reveals clues to a modern plot to steal Navajo resources and leads Mogi and Jennifer into a deadly trap. 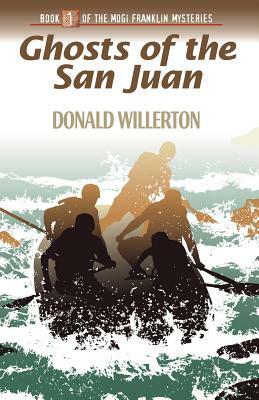 Escape seems impossible unless Mogi can find some way to lure the Ghosts of the San Juan to help.